We just love this fun color combo! 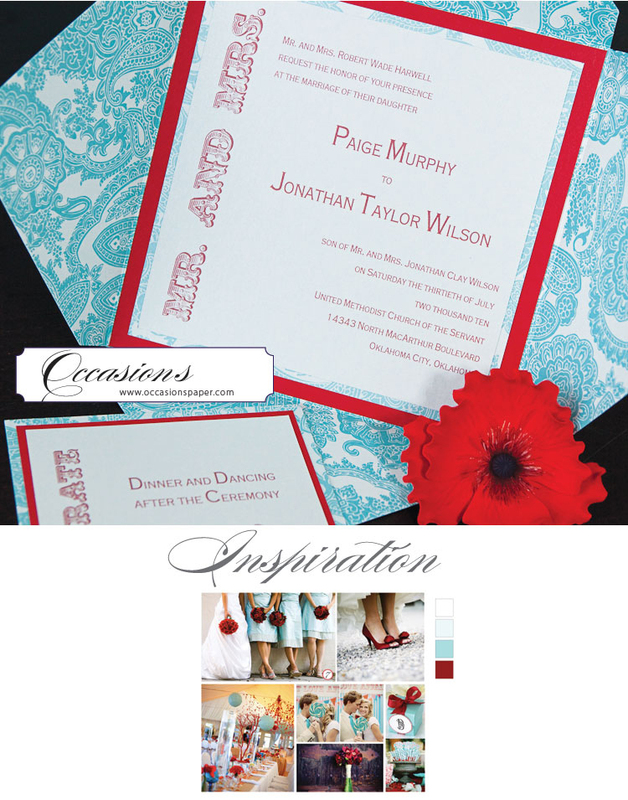 Sweet Treasures of Edmond and Occasions of Norman pulled together this super cute turquoise and red look. With a bit of inspiration, these designers went all out creating this bright and fun pairing with red poppy accents a turquoise paisley print. 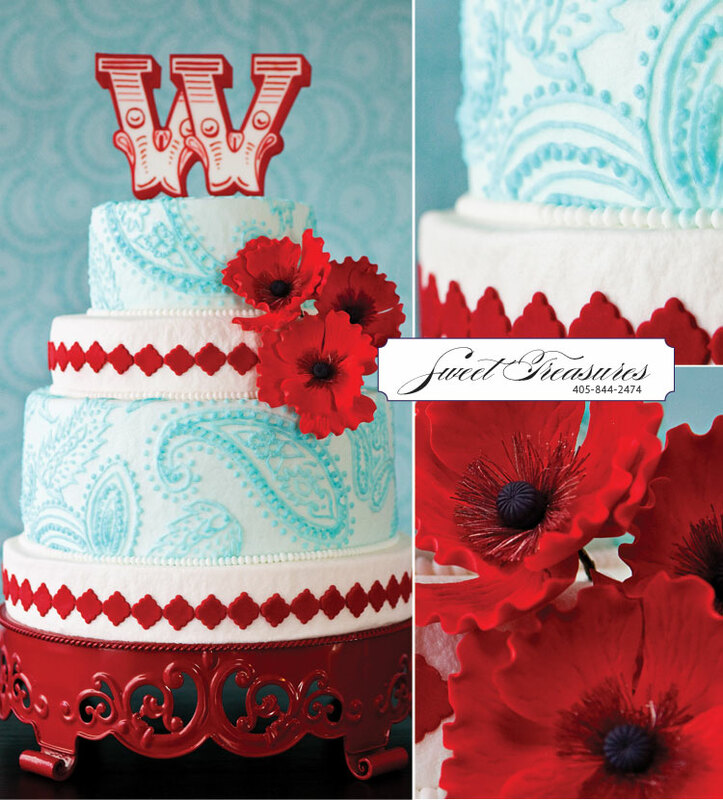 We just love how perfectly the monogram cake topper matches the “Mr. and Mrs.” print on the invite! These images were captured by Tara Lokey Photography. Check out this lovely pairing featured on pages 152 and 153 in the Spring/Summer issue of Brides of Oklahoma Magazine. Enjoy!